Manchester United and Liverpool target Jorginho has told his agent his preference is to join Manchester City if he leaves Napoli this summer, according to a report by TeamTalk. Jorginho has developed in to one of the best defensive midfielders in Italian football having become an integral part of Mauricio Sarri’s starting eleven since joining Napoli from Verona in the summer of 2014. The 26-year-old has been virtually ever-present this season to help maintain Napoli’s push for the Serie A title and they moved to within just one point of Juventus after beating their title rivals 1-0 yesterday. The Brazilian-born midfielder has attracted plenty of interest from the Premier League with TeamTalk claiming that Man Utd, Liverpool and Man City have all made Jorginho a key summer transfer target. 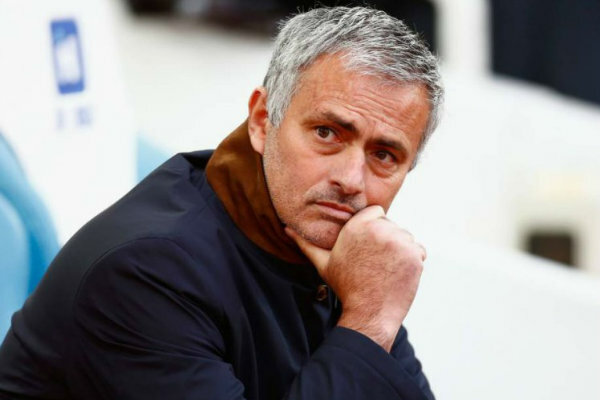 Jose Mourinho is needing to sign at least one central midfielder as Michael Carrick will retire at the end of the season while Marouane Fellaini is also expected to leave when his contract expires in June. Jurgen Klopp is also in the market for a new midfielder as Emre Can is still stalling over signing a new deal and is tipped to walk away on a free transfer this summer so Liverpool are eyeing Jorginho as a replacement. However, it looks like United and Liverpool’s hope of signing the Italian international have been dealt a blow as TeamTalk are citing a report from the Sun that claims Jorginho wants to join City. Pep Guardiola is looking to sign a replacement for Yaya Toure while a long-term replacement for 33-year-old Fernandinho is also needed and Jorginho has been touted as one of City’s targets. And it looks like the Citizens are in pole position as the newspaper says the South American has told his agent he favours a move to the Etihad Stadium if he was to leave Napoli this summer. Napoli will no doubt be keen to keep hold of Jorginho but the report says they may decide to cash-in if £50m is put on the table and that sort of money shouldn’t be too much of a problem for the likes of United, Liverpool or City, so a move to England could be on the cards.